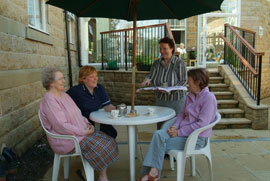 At Ashcroft House we take great pride in the quality and professionalism of our staff. Whatever the task they can be relied upon to provide nothing less than total care around the clock - every day of the year! As part of our ethos we train our staff to encourage our residents to maintain their independence whilst playing as active a part as possible within the home community as well as meeting and making new friends in and around the village. Our staff training programme is ongoing and puts a real emphasis on their ability to create and deliver flexible care plans for our residents. These plans are always carefully thought out, in consultation with residents and their families, to ensure that we will meet their ongoing and sometimes changing needs. 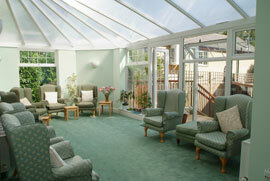 One of our keywords at Ashcroft House is choice. We want our residents to enjoy being with us and so we make a positive effort to ensure that each day has something to offer each and every resident whether they are staying in or enjoying a trip into the village or further afield. 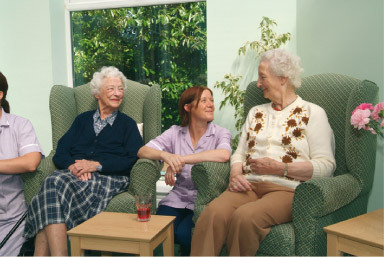 We do however appreciate that some of our residents may not wish to be overly active or be involved in every activity and these residents can enjoy a quieter stay with us in the comfort of the house or its gardens. Other residents may wish to maintain their own social life and to accommodate these residents we operate an “open-door” policy for their family and friends.